On Wednesday, October 21st, at a Mended Hearts member meeting, Dennis Galloway, President and members awarded $1000 scholarships to Jennifer Spignese, RN, BSN and Heidi Omans, RN, ONC both of whom work in the Cardiac Telemetry unit. These scholarships will help Ms. Spignese in achieving her MSN and Ms. Omans on her BSN degree. I shared with the attendees the importance of an educated health care community and the nursing Magnet designation held by the hospital. 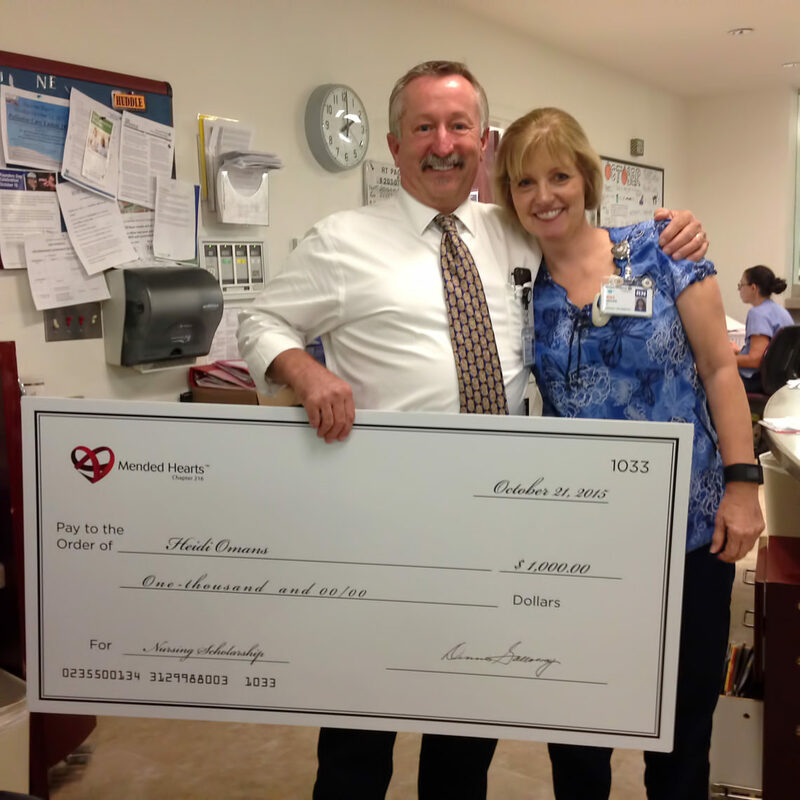 Then said, “We are very proud and grateful for the quality of heart care we have received here at Mission Hospital. 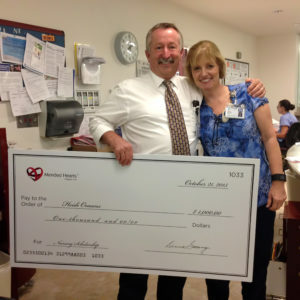 These scholarships are our way of saying thank you to the hard working nurses that staff the cardiac care unit”. Unfortunately neither Jennifer nor Heidi was able to attend the meeting due to illness and work schedule. Here are a few sentences I extracted from their qualifying essays. Heidi writes, “As a recipient of this scholarship, I feel my chances for achieving my educational and career goals with mission Hospital would be largely enhanced, as I see a long and rewarding future with Mission Hospital. I am excited to continue to improve and climb the educational ladder to success”. 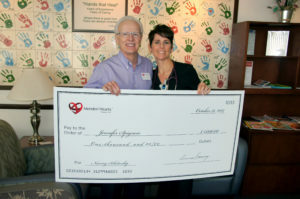 Jennifer writes,” With the help of the Mended hearts Scholarship, I will be able to continue to pursue a Master of Science in Nursing Family Practitioner degree from Gonzaga University, making me better equipped to serve the healthcare needs of individuals and families throughout the lifespan. In particular to this role, I would like to practice on the preventative side of cardiac healthcare, thereby contributing to the well being of our entire community”. Both Heidi and Jennifer extend their gratitude and heartfelt “THANK YOU” for the very generous scholarships awarded them.